Combine Portuguese and Spanish delight in one amazing Iberian journey. This 7-night cruise along the Douro River Valley is both a journey and an immersion into one of Europe’s least explored wine regions. The Portuguese and Spanish wines of the Douro and “La Ribera” regions are elegant, underrated and inexpensive. The “quintas” and bodegas here produce superb reds and vibrant white wines, along with the ruby and tawny port wines sold the world over. Visit beautiful Porto and the charming villages of Regua, Lamego, Pinhao and Castelo Rodrigo. Stroll through Salamanca Spain, home to one of Europe’s oldest and greatest universities. Explore Penafiel, Segovia and Madrid, experiencing the best of northern Portugal and Spain’s Douro River Valley wineries, cuisine and sightseeing with your hosts Doug and Nancy. Sample their best wines in contrast with local vintages paired with fine regional cuisine. Special events are planned along the way! Douglas P. Beckett was born January 1, 1946 in Morgantown, West Virginia. Born into a Navy family, he traveled most of his early years. He settled in San Diego where he met and married Nancy Thibodo in 1971. In that same year Doug graduated from college with a Bachelors Degree in Business Administration. He earned his Masters degree in Psychology in 1975. Between 1970 and 1979, Doug taught multi levels of school ranging from Kindergarten to the University level and ending his teaching career as a high school counselor. Prior to leaving education, he became involved as a full partner in a small chain of convenience stores, which lasted until 1981 when he and his family, wife Nancy, and their two sons, Josh and Jake, moved to Paso Robles. Doug’s first job in Paso Robles was as a carpenter, which he held for a number of years, working exclusively on barns. At the same time, he started making wine with friend, Pat Wheeler. Over the course of 18 years he also developed land, sold real estate, taught school as a resource specialist and started his own import-export company specializing in art glass from Eastern Europe. 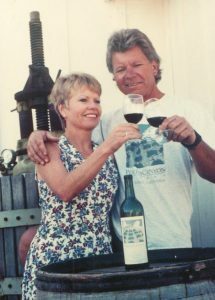 In 1988 Nancy and Doug founded Peachy Canyon Winery as a 500 case venture, which today produces 50,000 cases. Peachy Canyon Winery has also gone from purchasing 100% of the grapes a few short years ago to the present situation, which involves the purchase of grapes as well as the use of the grapes from five estate vineyards. Peachy Canyon wines are currently sold in over 40 states, Europe, the Pacific Rim and Canada. 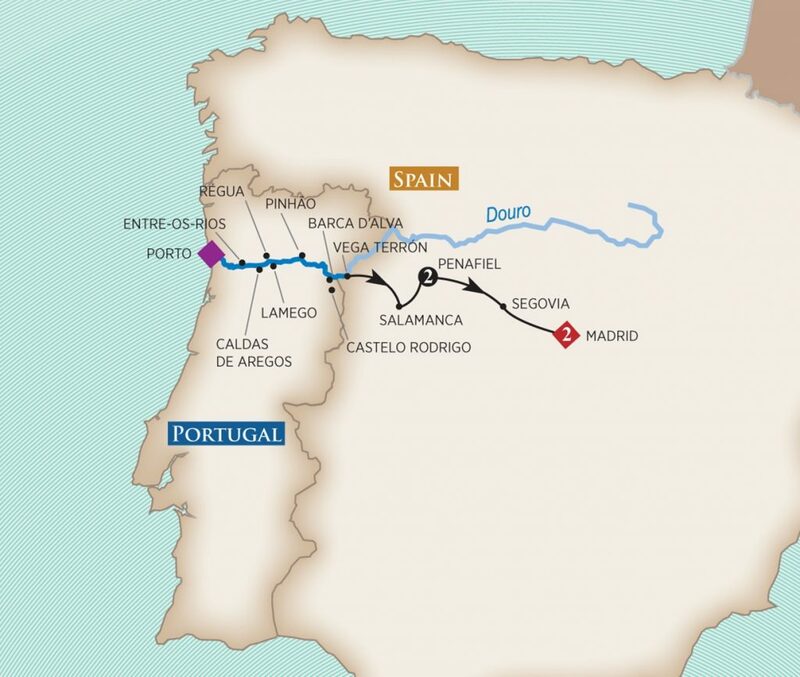 Join Doug and Nancy on this amazing journey through the beautiful wine country of Portugal and Spain! Please note: The Flavors of Portugal & Spain Douro River wine tour and cruise package is created solely for the Peachy Canyon Winery by Tours & Wine (by Expanding Horizons of Tustin, California), our tour operator, and in conjunction with AmaWaterways. The program will contain private meals, tours and/or visits to attractions outside of scheduled cruise activities*. These additional services are exclusive to guests on this cruise who book their reservations with Expanding Horizons. Persons booking with alternative travel agencies will not be included in these activities. * Private events are based on a minimum of 20 paying guests.